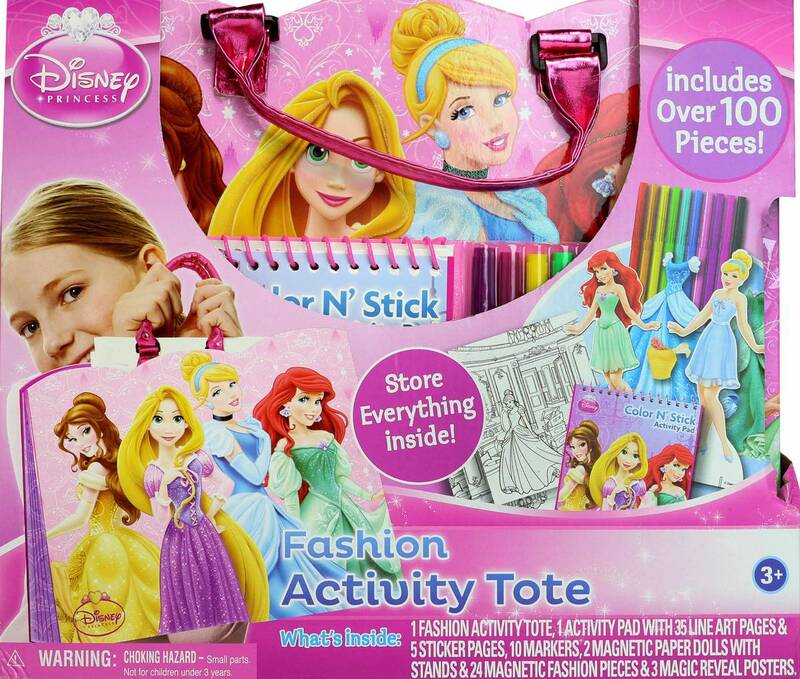 Design fashions for your favorite Disney Princesses with this fashion art tote. This set includes a 35 page activity pad with 5 full sticker sheets, 2 magnetic paper dolls with stands, 25 magnetic fashions, 3 magic reveal posters and 10 markers. A great activity set for your little Disney Princess fan!